Md Azizur Rahman has been a pioneer in the study of interior permanent magnet (IPM) synchronous motors, driving advancements that lay the foundation for sustained development of these motors. Widely known as “Mr. 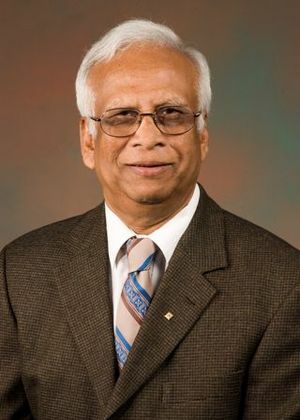 IPM,” Dr. Rahman’s earliest contributions concentrated on the novel design of rotor squirrel-cage and rare-earth permanent magnets beneath the rotor cage winding. Later, he built the world’s first 45kW interior permanent magnet motors, which are now widely used for energy-efficient air conditioners. More recently, Toyota adopted his design of the IPM motor drive in its Prius hybrid electric car. A research professor in the faculty of engineering and applied science at the Memorial University of Newfoundland in St. John’s, Canada, Dr. Rahman is currently leading research on high-performance IPM motor drive systems. Dr. Rahman is an IEEE Life Fellow; a Fellow of the Institution of Engineering and Technology, U.K.; a Fellow of the Engineering Institute of Canada; and a Life Fellow of the Institution of Engineers, Bangladesh. This page was last edited on 4 February 2016, at 20:22.